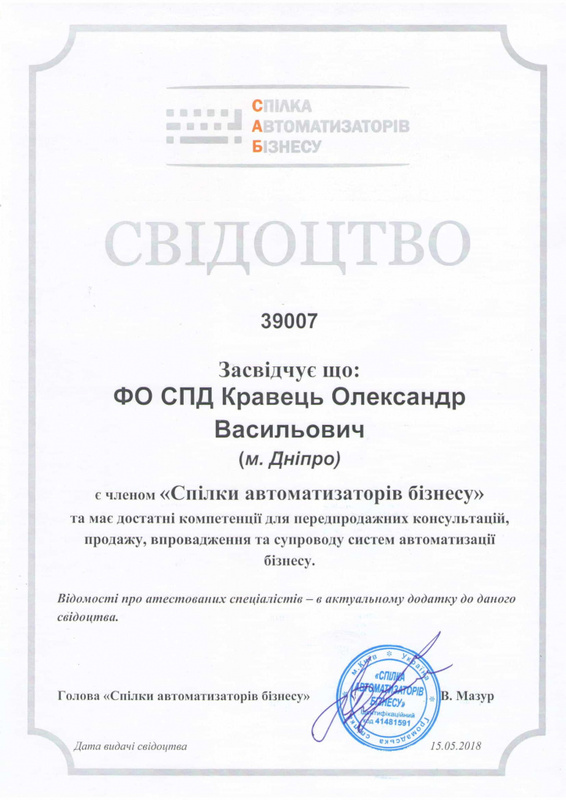 Official member of a public organization "Спілка автоматизаторів бізнесу"
Cпілка Автоматизаторів Бізнесу (САБ) is a public organization that unites professionals in the field of automation of business, interested in the development of modern information technologies, their popularization and effective use in various branches of the economy. 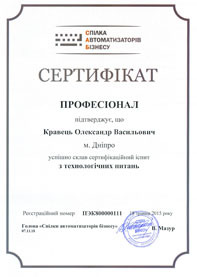 The main objective of the САБ is to facilitate the creation of new information systems for the automation of enterprises, provision of high-quality support and implementation of such systems, expansion of the network of professional companies for business automation, educational and educational work. 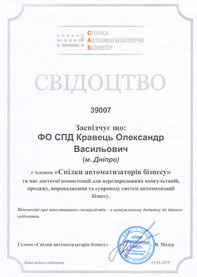 The САБ monitors the quality of services provided by the participants, for this a single system of quality standards and automation services has been developed. Only high-quality and qualified services, for the provision of which all necessary certificates were obtained. 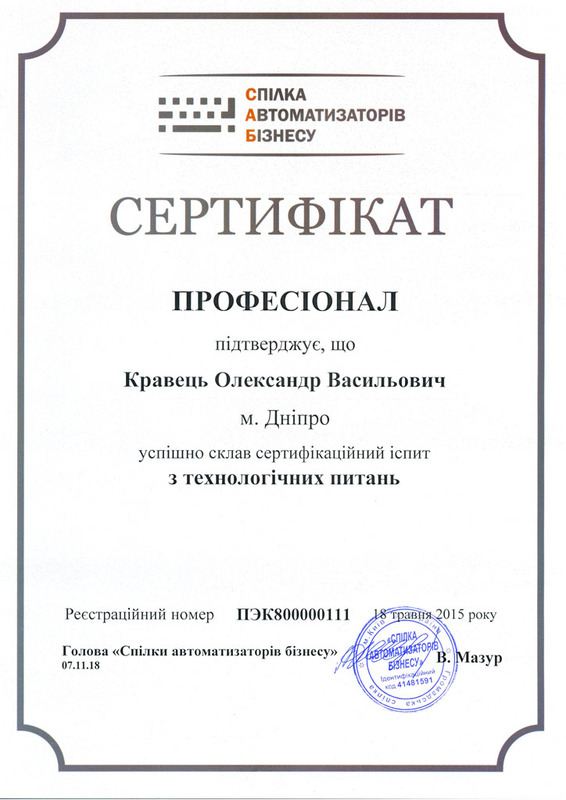 Practical experience in solving problems of performance and parallelism in information systems on the platform "1C:Enterprise"